Diflufenican increased 493-fold the level of phytoene. Diflufenican-induced inhibition of phytoene desaturase gene expression in carrot cells resulted in an increased production of phytoene. This work analyzes the effect of diflufenican, an inhibitor of phytoene desaturase, on the gene expression profiles of the biosynthetic pathway of carotenoids related with the production of these compounds in carrot cell cultures. The results showed that the presence of 10 µM diflufenican in the culture medium increased phytoene levels, which was 493-fold higher than in control cells after 7 days of treatment but did not alter cell growth in carrot cell cultures. The maximal production of phytoene was reached with 10 µM diflufenican after 7 days of incubation in the presence of light and with 30 g/L sucrose in the culture medium. 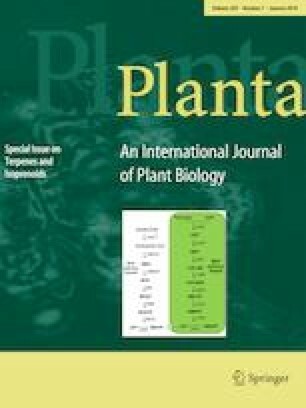 Moreover, diflufenican decreased the expression of phytoene synthase and phytoene desaturase genes at all the times studied. This diflufenican-induced inhibition of phytoene desaturase gene expression in carrot cell cultures resulted in an increased production of phytoene. Our results provide new insights into the action of diflufenican in carrot cell cultures, which could represent an alternative more sustainable and environmentally friendly system to produce phytoene than those currently used. Ana Belén Sabater-Jara and Lorena Almagro: Equal contribution as supervisor of Begoña Miras-Moreno. The online version of this article ( https://doi.org/10.1007/s00425-018-2966-y) contains supplementary material, which is available to authorized users. This work has been supported by the Ministerio de Economía y Competitividad (no. BIO2017-82374-R) and Fundación Seneca-Agencia de Ciencia y Tecnología de la Región de Murcia (no. 19876/GERM/15).